Once considered a tough lake to fish, Lake Puckaway has bounced back to become one of the hottest bodies of water in south-central Wisconsin, especially for Walleye fishing. Located on the shores of Marquette, about 10 miles from Markesan, Lake Puckaway is home to a variety of fish species. Northern, largemouth bass, crappies, bluegills and perch tantalize even the most discriminating fishermen. 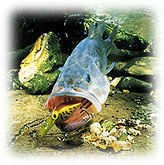 Probably the most sought after species after the Walleye, is the yellow perch. The best time to catch these tasty fish usually starts in June and continues all summer. While anglers give up on perch in the fall, many locals still catch them right up until the lake freezes. Lake Puckaway is one of the first lakes that see fishermen in April. The season is open year-round on Lake Puckaway, and most anglers take advantage of that fact to chase lunker-sized walleyes in the spring. Once the lake freezes over, the action doesn't let up. Scores of hardy souls dot the frozen lake, building a miniature town with their ice shanties. 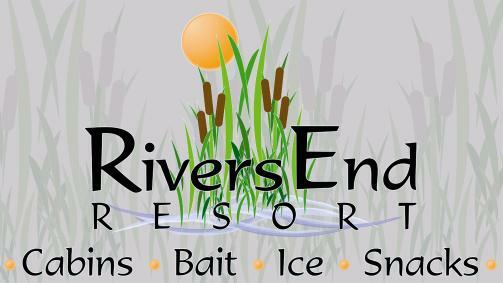 Organizations throughout the county hold numerous fisheree's all winter long, proving there is excellent fishing. The revitalized lake is also home to thousands of ducks and geese each year. Waterfowl, because of the weed growth and wild rice, have found Lake Puckaway a good place to rest during the fall migration. Non-game birds also call Lake Puckaway home. Great blue herons and double-breasted cormorants nest in the middle of the lake, while forester's terns make the cane beds their home throughout the summer. Lake Puckaway offers much more than just fishing and hunting to vacationers. Its shallow shorelines and hard, sandy bottoms, make it ideal for swimming. With more than 7,000 acres of open water, skiers, boaters and fisherman have plenty of space to pursue their interests.